Only by transforming ones’ direction of development from technology providers into commercial delivery platforms will these computer vision startups be valued at a higher level. Megvii's annual strategic conference. PHOTO: Credit to Megvii. 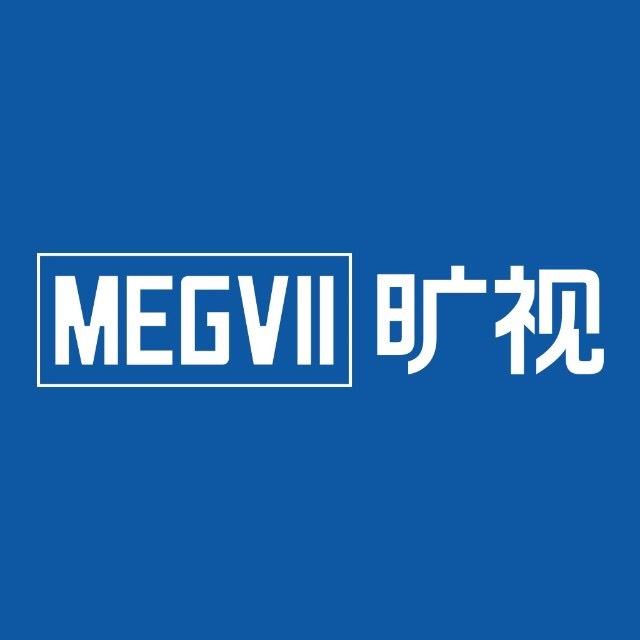 Megvii, used to be known as Face++, announced in its annual strategic conference last week that the company would invest CNY 2 billion (USD 296 million) into developing artificial intelligence based supply chain solutions provider through its new flagship product Hetu, EqualOcean reported on Jan 17. Before the announcement, the company’s brand name was Face++, which is a face recognition product used by popular consumer apps including Alipay (支付宝) and Meitu (美图), the dominating mobile payment app in China and the popular beauty enhancing photo app. 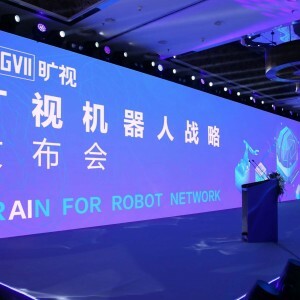 The company chose to abandon this widely-known brand name and use the current name Megvii, trying to express the determination of its strategic transformation from a face recognition technology provider into an AI-based supply chain solutions provider. The new flagship product Hetu, named from China’s fairy story of creation, is a robotics operating system enabled with AIoT (AI + Internet of Things), having the ability to provide whole sets of software and operating system solutions for manufactory, logistics, and retail industries. In another world, Megvii is no longer a simple AI technology company, but now a solution provider for the supply chain industries of the world’s factory, China. As mentioned above, Megvii’s previous flagship product Face++ was popular among consuming application developers, as it provides accurate and convenient face recognition SDK (Software Development Kit) based on the company’s advanced computer vision technology. But now, the company has realized that the market scale of consuming application SDK development is way smaller that logistics and supply chain intelligent operation system, while the two aspects use the same technology, computer vision. In October 2018, Ma Huangteng (马化腾, Pony Ma), the co-founder and chairman of the board of Chinese tech giant Tencent, asked a question on China’s version of Quora, Zhihu, that how the industrial Internet would impact on the consumer Internet in the next 10 years. The question that Pony Ma raised caused a stir among the tech community in China and received more than 3000 answers. People realized that as the most valued consumer Internet company in China, Tencent is now pursuing new opportunities in the industrial Internet. By transforming the company’s industry direction, Megvii is in-fact telling a new story, that it has joined the trend of industry along with tech giants such as Tencent and Alibaba. The market scale of China’s supply chain management service industry will reach CNY 378 trillion (USD 56 trillion) by the year of 2023, according to a market report by Qianzhan Industrial Research. Even though Megvii has entered this enormous market, it’s still unsure if it is able to assume a stake from it. But its transformation might be a good story to the potential investors of the company. The latest fundraising of Megvii happened in October 2017, when investors led by China State-Owned Assets Venture Investment Fund and Alibaba injected the company USD 460 million and valued it at USD 2.3 billion. In July 2018, it was rumored that Alibaba was ready to finance Megvii’s Series D funding round, valuing the company at USD 3 billion. But it hasn’t been verified by both sides of the matter. The timeline indicates that the company hasn’t closed any funding round for 16 months, a relatively long period compared to top AI startups’ average financing cycle. While during this period, Megvii’s main rivals, SenseTime, Yitu, and CloudWalk have all closed at least one large investment round. The four startups were once regarded as the “Four Computer Vision Tigers,” and all of them except Megvii have completed the transformation of their role from computer vision technology platforms to commercial delivery platforms. SenseTime released its face recognition algorithm platform SenseFace 3.0 and city large-scale video analysis platform SenseFoundry in the middle of 2018, signifying that the company has turned its direction into city security. The two platforms help the police force to analyze images and videos captured by thousands of cameras in the cities. The company raised USD 1 billion from Softbank China in September 2018, valuing it at USD 6 billion, making it the world’s most valued AI startup. In August 2017, Yitu, an image recognition company, announced for the first time that the company was entering the healthcare field, by releasing its AI + Healthcare One-Stop Research Platform, focusing on the analysis of medical images by using computer vision and deep learning technologies. The company raised USD 300 million in its Series C round of funding in the middle of 2018, valuing it at USD 2.4 billion. CloudWalk was founded as a face recognition SDK platform in 2015, the company turned its main business into financial risk management after it initially worked with the Bank of China in May 2017. The company now classifies it as a financial technology company which provides intelligent financial service solutions by using artificial intelligence technologies. CloudWalk closed its Series B+ round of funding which valued it at USD 3 billion. From this point of view, it’s not hard to see that only by transforming ones’ direction of development from technology providers into commercial delivery platforms will these computer vision startups be valued at a higher level. Megvii seems to have realized the situation, and it’s not too late. Megvii Technology operates a face detection, recognition, and analysis platform for Websites, mobile applications, and smart televisions.